This time around it will be somewhat different… it will basically be a 4-in-1 tournament, presenting 4 completely different themes. Each one of those could be part of a tournament all by itself. I sincerely hope that the themes chosen will prove to be interesting… I believe they should be. As In the previous tournaments, it will be real-time like news updates. Although since there are no per number of pieces categories this time, there will probably be fewer ones. For those who may not be familiar with this type of tournaments, I invite to check the previous tournaments pages for more info. 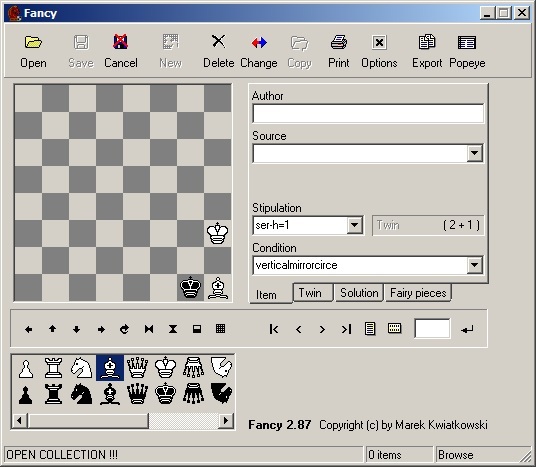 During the course of the tournament, computers are not allowed to be used for composing (that is, to “solve” or find good solutions). It is only allowed after the tournament. This needs a small clarification, of course, if one analyzes a specific position with a program, and finds other solutions (duals) which are good/better, this is ok to search further! It is the automatic search for solutions that is not allowed. 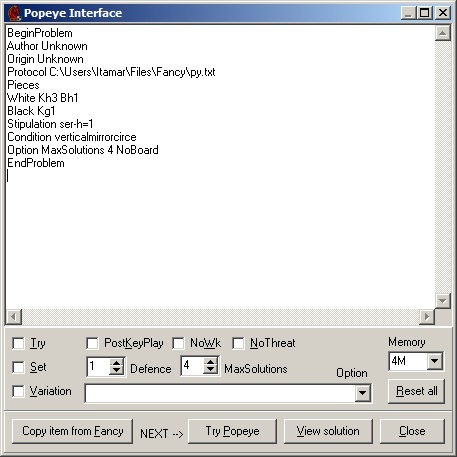 Thus scripting in any way Popeye for example is also not allowed. One without number of pieces limitations (category 1). One for having a maximum of 12 pieces in total (category 2). The conditions must be used. The solutions must be invalidated if any is removed. Promotions during the solutions are ok. The number of points or moves (the more the better). The number of pieces on board (the less the better). The flip of an unbiased coin. Info about all the conditions can be found here and here. 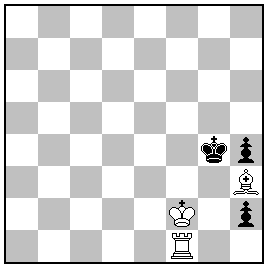 ExtinctionChess means that – any – piece is checked if it is the last of its kind. Thus the king is no more special, and can be captured like any other piece, even promoted to ! Please note that kings are not mandatory at all ! 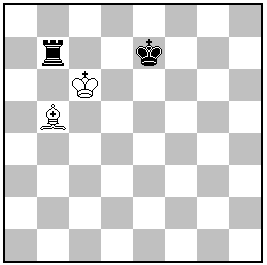 One could have problems without any, or just a white, or black king… The previous problem is mate at the end because of a double check, one on the black king, and one on the rook at a8, and both cannot be reborn since they are already on their reborn squares. Conditions: Circe Volcanic (in WinChloë it’s a combination of two conditions: “Circé” + “Renaissances Circé volcanique”). At least 2 volcanic effects/rebirths in total are necessary during the solution, by either black or white (it’s the sum of both colors). Both effects/rebirths must have a clear purpose and play a role in the solution. Each volcanic effect/rebirth, if and only if the piece reborn plays a part in the solution and cannot just be removed, is worth 5 points. The total number of points is that + the number of moves. 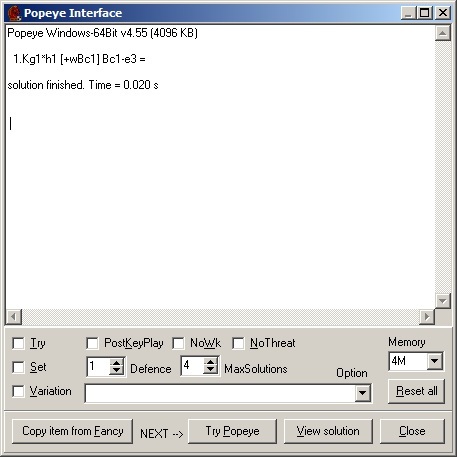 An additional bonus 5 points will also be granted if there are at least 3 volcanic captures (all the “->v” in popeye’s solution, and every single one of them is justified. This condition is another great one. What it means is that when a piece is captured, it is reborn as per the Circe rule, except if the square is occupied. In this case it is put in a queue, and when the occupying piece moves, it is then reborn there. Note that several pieces could be captured, which belong to the same rebirth square, and freed as the pieces move from there ! Stipulations: Same as the 1st theme. 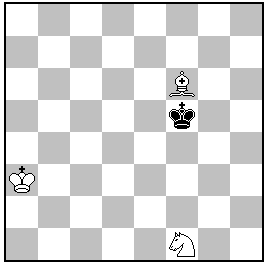 Aim: The king must pass on each of the 4 corner squares. He cannot move to one of those on the very first move, but can start from one, in which case he would need to return to it at one time or another. Example in the tutorial here below. The Take&MakeChess is a lovely condition, and should make for a nice and creative theme. What it means is that a piece which captures another one makes an additional move according to the piece it captured. The themes are in alphabetical order, so 1st theme=A, … and the categories are numbered, so the 1st and 2nd ones are respectively 1 and 2. Thus 4th theme, 2nd category would be represented as D2. The condition and stipulation will be one of those given for each of the themes. Once the position and the informations are set, one needs to click on “Popeye”.